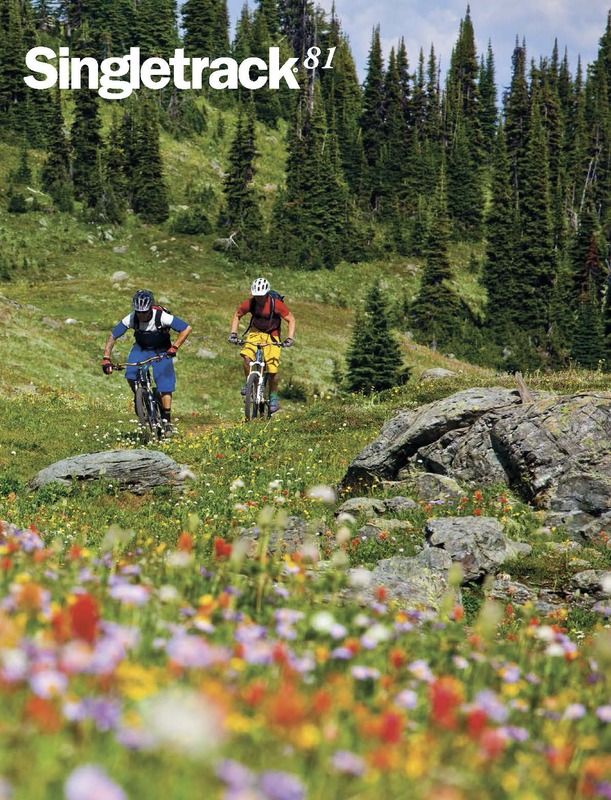 "The high alpine wild flowers around Revelstoke are a sight to behold. For a couple of weeks, usually in late summer, they are at their brightest once all the snow has melted from the high peaks. I thought for sure I was going to miss them this year as I was away on assignment in Northern Canada for late July and early August, but when I got back they were in full bloom. The trail is called Keystone Standard Basin and is one of Revelstoke’s premier high alpine rides with some challenging technical sections mixed with fast and flowy portions of trail that lead to an old cabin." 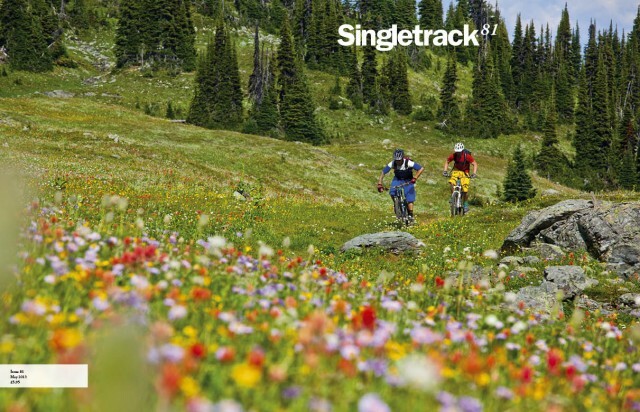 Riders: Nick Quinn and Nash Masson enjoying alpine meadow singletrack and technicolour flowers. Selkirk Mountains, Revelstoke, BC. 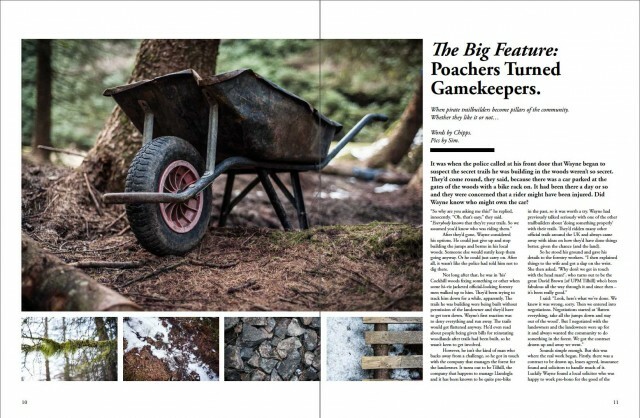 9/ Editorial. Chipps channels his inner Spinal Tap in order to achieve marginal improvement. 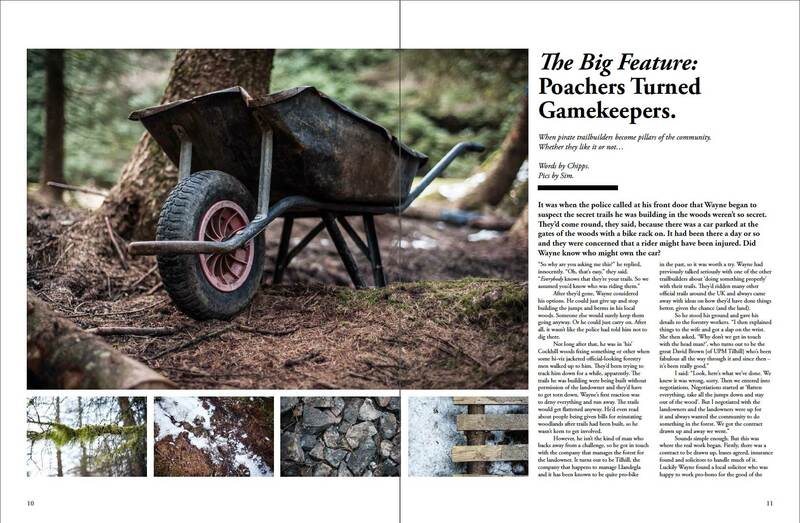 10/ The Big Feature: Poachers Turned Gamekeepers. When your secret trails are discovered… you can either move on – or you can go legit. 22/ The Big Column: Benji Haworth. Benji’s just thrown away his hardtail. For good. And he’ll tell you why you need to as well. 24/ Jewel Of The Isle: Peaslake Village Stores. Home of the world-famous cheese straw. And near some tasty trails too. 26/ Stat Of The Art. Which singletrackworld.com viewers are on the organ transplant register, then? 28/ Column: Careless Talk Costs Rides. Meerkat dispenses advice for marital bliss. Almost. 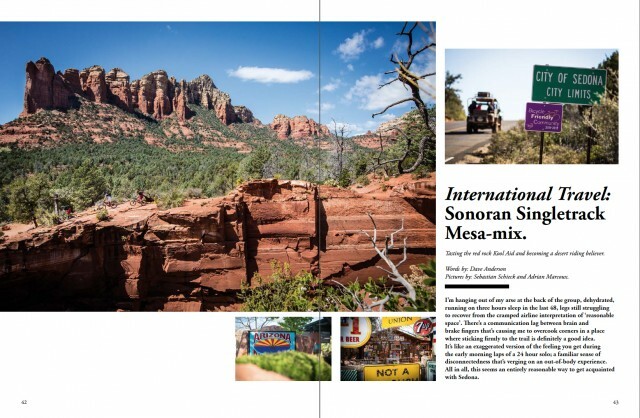 42/ International Travel: Sedona, Arizona. Imagine a red rock Glastonbury, with conspiracy theorists and some world-class mountain biking. You’re about 20% of the way there. Sedona has it all. 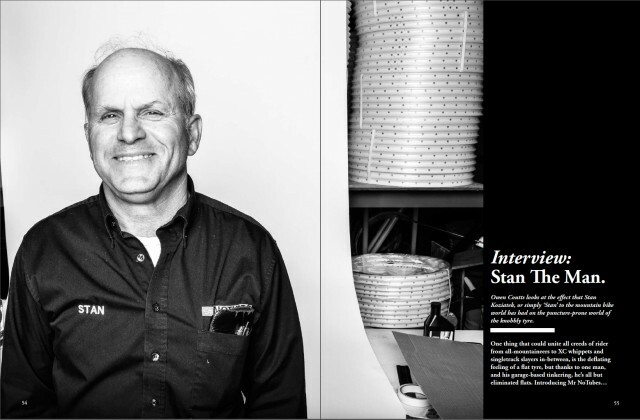 54/ Interview: Stan The Man. 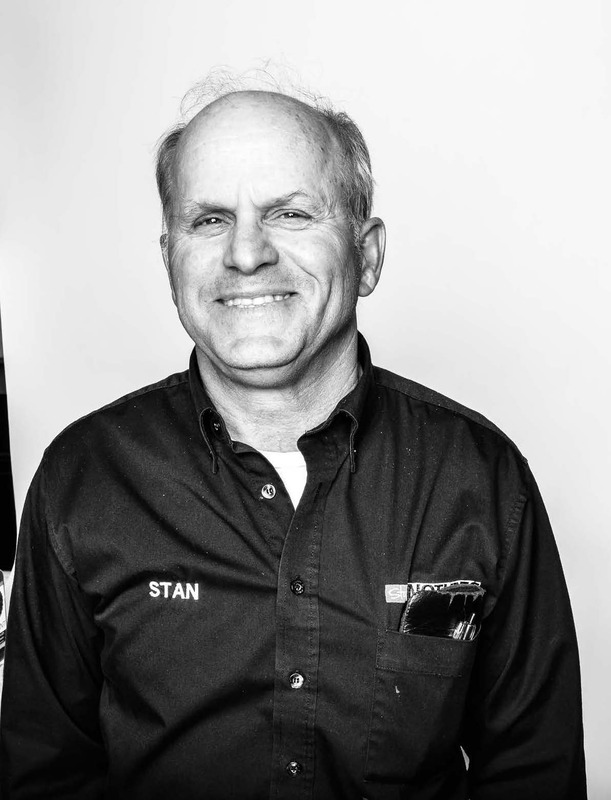 An interview with one of the most influential mountain bike component designers of our time. Stan, of Stan’s NoTubes. 64/ Singletrack Style: The Core Collection. 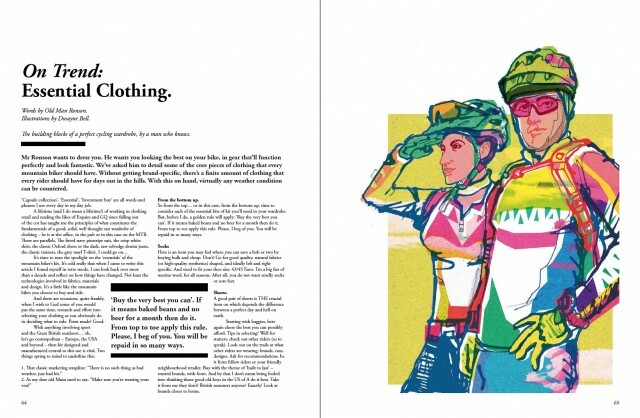 Our new fashion guru runs through the clothing essentials you must have in your riding wardrobe. 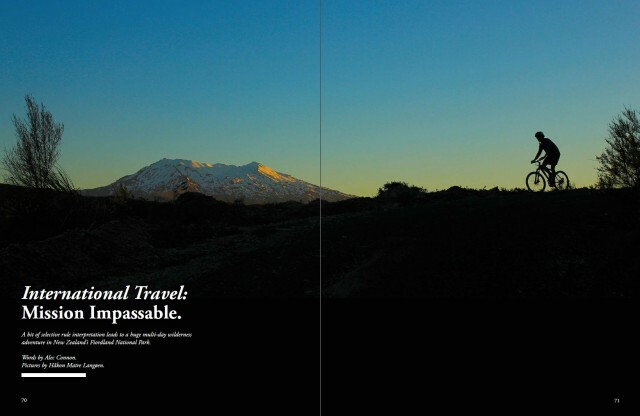 70/ International Travel: New Zealand’s Fiordland. Alec Connon ignores the ‘Trail closed’ signs for an unforgettable adventure. 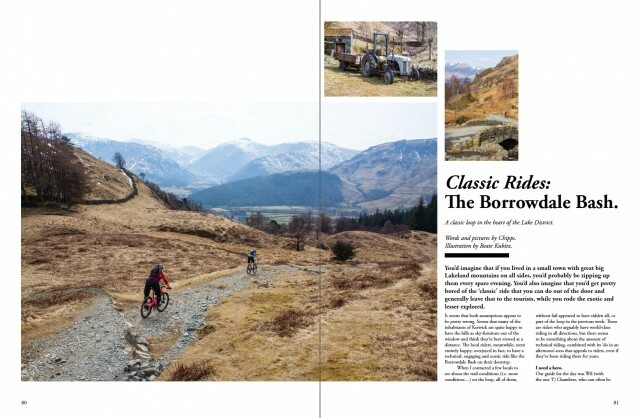 80/ Classic Ride: Borrowdale Bash. 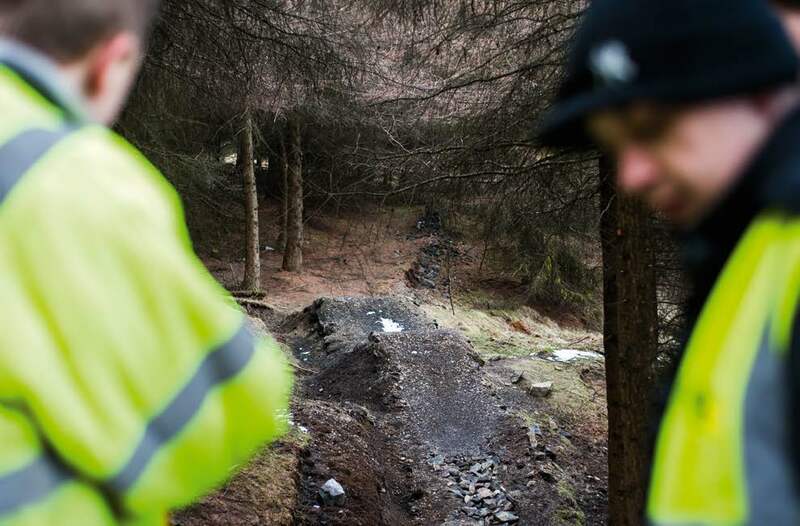 This Lakeland loop is a true classic that every British mountain biker must ride. 96/ Through The Grinder. 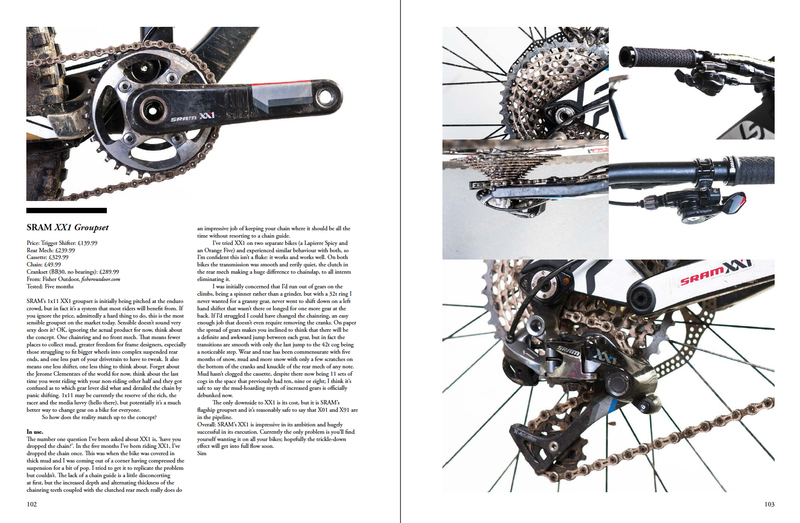 Seven pages of shiny products made dull and scratchy by our all-weather test squad. 110/ Grouptest: Cross Country Race Brakes. The lightest, pimpest race brakes available from Avid, Formula, Hope and Shimano. 116/ Bike Test: Two Grand Bikes. 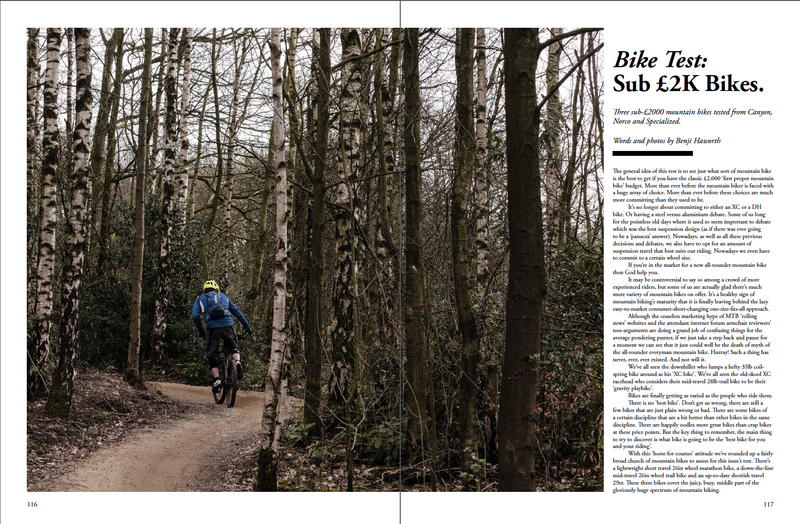 How much bike do you get for £2,000? A lot – and in how many different ways? Bikes from Canyon, Norco and Specialized. 126/ Premier Listings. Got a Singletrack Premier card? Here’s your list of where you can get sweet discounts. 130/ We Just Work Here. Who does what. Who to call and who helped us put the issue together.